Old McDonald had a Farm ... which little child wasn't in love with this song at some point in their life? We live at least part of this song daily here at our little backyard farm and I see the impact of caring for animals on my children. We can go and see animals at the ZOO or a petting place but to experience the ownership that brings on responsibilities in the children is priceless. 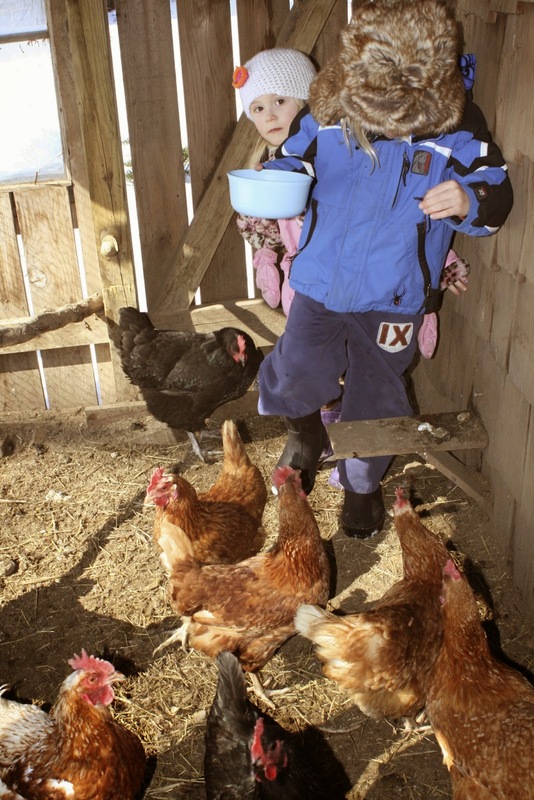 We have had chickens even before our kids were born, so they both came to live into the farm environment. 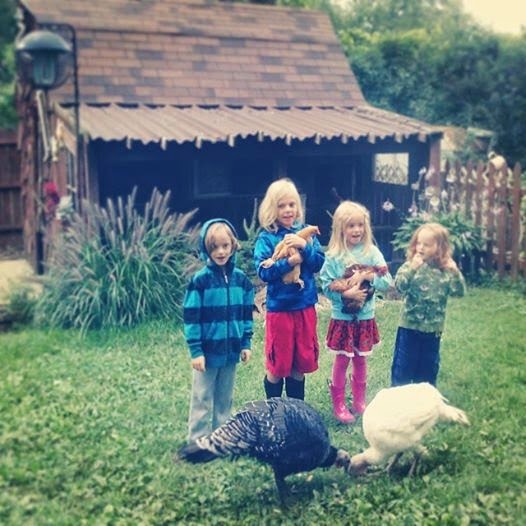 Last year, we finally decided to get them each a pet chicken. Up until that time, all our chickens were sort of pets that had to go every few years because they would stop laying eggs. But I realized how important it was to them to have a feathered creature here to stay. And that's how we came to Brownie and Whiny. This above is Brownie - they are both Bantams, miniature chickens. 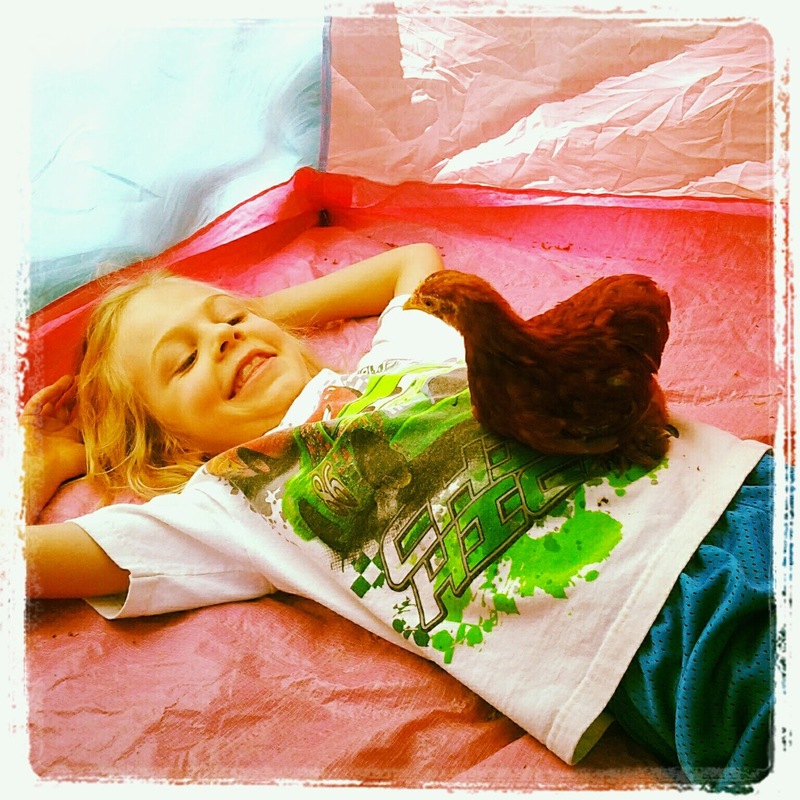 I like having small chickens for the kids, because they are easier for them to handle. Many times I catch the kids hanging out with their birds. Here is T enjoying afternoon rest with Brownie. 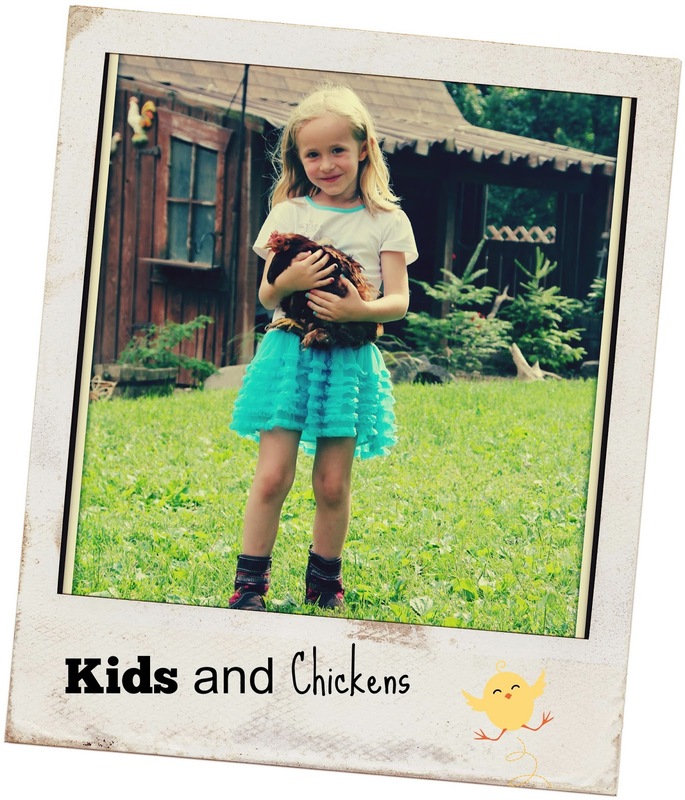 Having chickens keeps my kids connected to the reality of where food comes from. They also learn responsibility and compassion towards animals, something that God intended for us to have and to teach to our children. 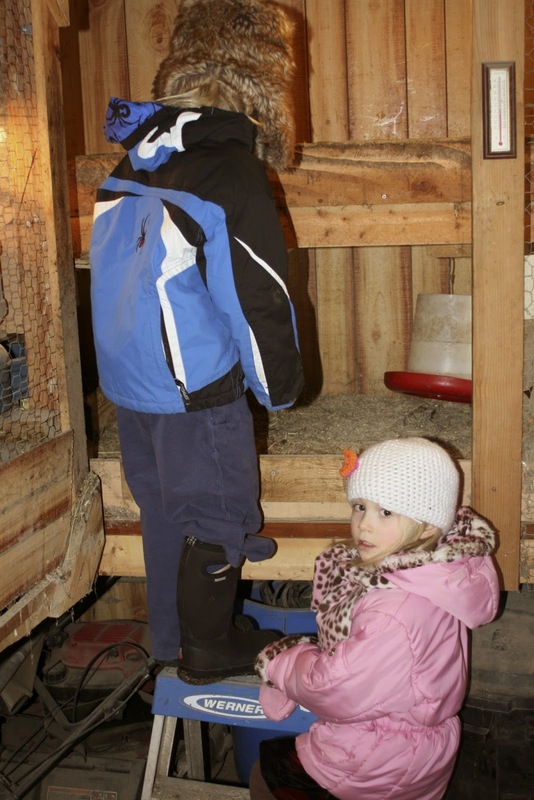 When we come to a slight bump and we have to deal with some emergency in the coop, kids are always involved and they help us solve the problem. Here is Whiny when she nearly died as a baby and we helped her back to life by feeding her sugar water using dropper. They LOVE collecting the eggs from nesting boxes and feeding the girls! During the winter months we grow earthworms for our chickens for healthy snack... what kid doesn't like to participate in something gross right? Our daughter used to be afraid of these wigglers and this exposure helped her feel comfortable and now she handles them without a problem! are all friendly breeds and are best to make special connection with your kids. 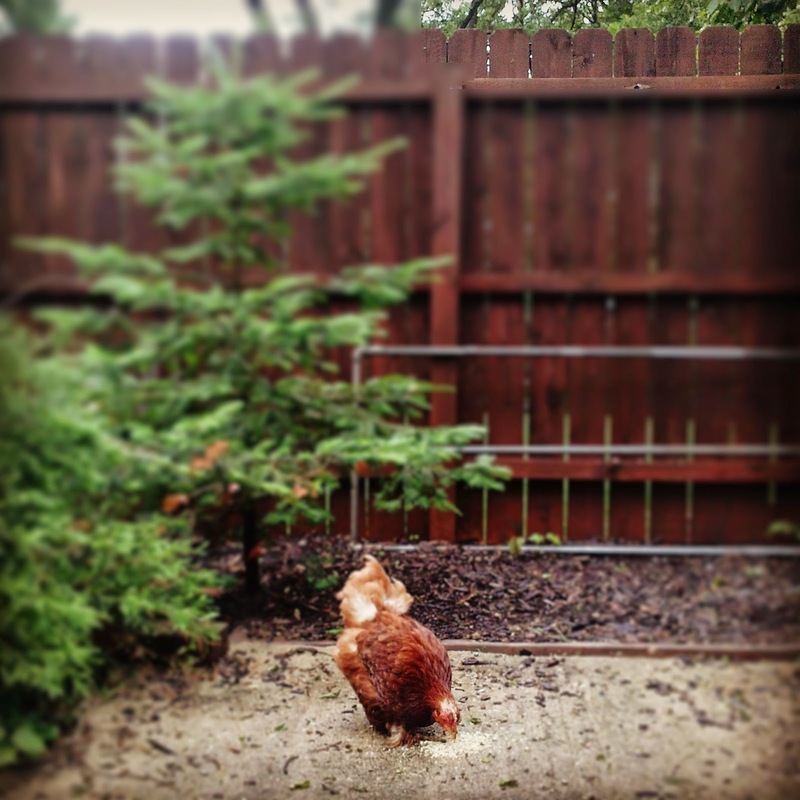 Well, this is so exciting and I hope you will start your little chicken coop soon!